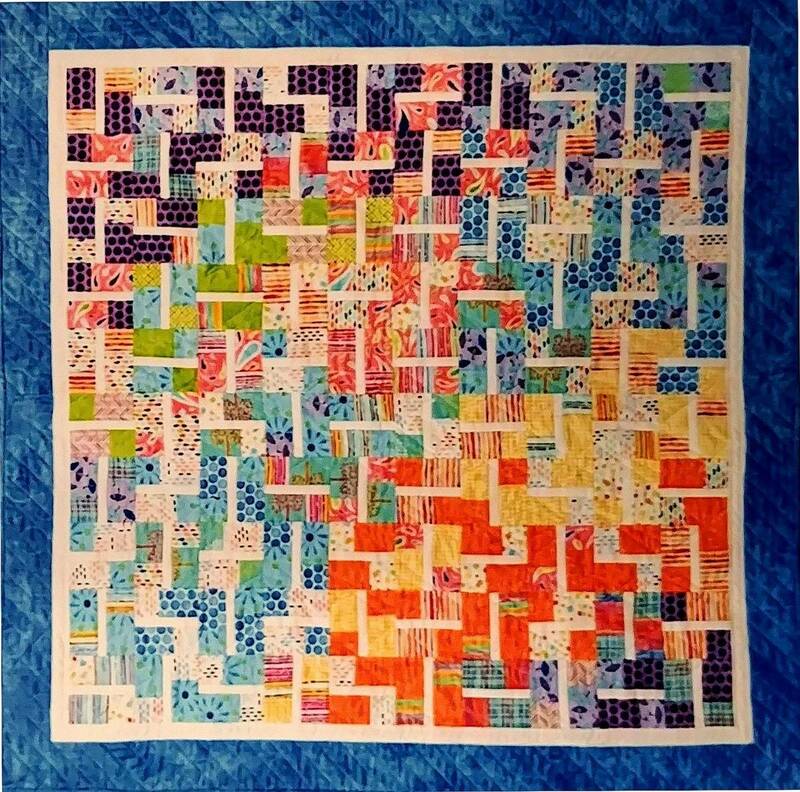 Journey Quilt “First Step” is a pattern for a delightful, yet quick and easy throw quilt. All students will be working with the same pattern, but using their own choice of fabrics. Precuts can be used to make it go even faster. The cost of the pattern is $9.00 for those attending the class. You pick up the pattern, choose your fabrics, and then piece the quilt following the instructions pp.1-4, and stop when you have the quilt in two sections. At that point you are ready for the first day of class. Day One of the workshop will focus on layering your quilt, learning the quilting design and then quilting the two sections of your quilt. The second day, you will finish the quilting, and learn how to put the quilt together using the technique called “cyndikation”. No one will ever know that you quilted it in smaller sections to make it easier to do on your own home machine. Once you have taken this class, you will be able to apply these techniques to your own quilts and travel on your journey to become a skillful quilter. You may leave your supplies and equipment in the classroom overnight.